Android comes to charm children and younger generation, Toys R Us has announced that they will be providing a Tablet powered by Android 4.0 Ice Cream Sandwich which is especially built for children although we have seen children using iPad or other tablets, but why not choose a tablet that is a bit more towards learning with entertainment. Tabeo is Tablet that will soon be available at Toys R Us, it’s a 7 inch tablet that comes preloaded with lots of educational and entertainment Apps and Games such as cut the Rope, Angry Birds, Temple Run, 100 floors and many others. Specs of the Tabeo are ARM Cortex A8 1GHz processor, 1GB Ram , TFT LCD with a resolution of 800 x 480 pixels, WiFi plus much more that comes with a 7 inch screen. 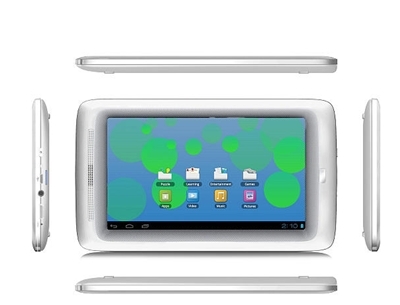 The Tabeo Tablet will be made available at Toys R US stores in the United States from 21stOctober 2012 at a great price of $149.99, although you can pre order it from the official website of Toys R US. Over the past year, we’ve spent considerable time talking to parents and children to determine what features and functions they really want in a kids’ tablet, resulting in tabeo,”-”We are proud that tabeo offers robust and flexible parental controls that can help protect children as they surf the Internet, and we are pleased to offer the tabeo App Store, which features only kid-safe content carefully curated by the Toys”R”Us team. 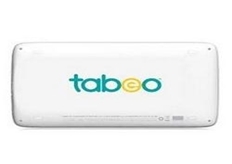 For more information regarding the Tabeo Tablet visit press release.